Psychedelic drugs are substances “causing effects on the mind, such as feelings of deep understanding or unusually strong experiences of colour, sound, taste, and touch” – as defined by the Cambridge dictionary. The word psychedelic stems from ancient Greek, as a combination of psychē (soul, mind) and dēloun (to make visible, to reveal). Together, they are most often translated as mind-revealing. This name refers to the deep understanding, the increased sense of consciousness caused by such substances. It is a widespread belief that psychedelic substances enable the user to discover more about their mind, seeing it figuratively and, in a way, quite literally. Psychedelic, when applied to art, clothing or similar items, also means resembling the experience caused by psychedelic substances. This includes both bright colours and curious patterns. 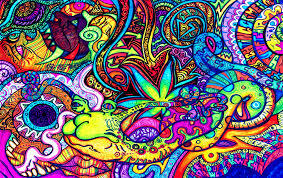 There are many substances that have a psychedelic effect on the user. The most well-known are LSD, psilocybin mushrooms, mescaline and DMT. There are both synthetic and natural, as well as legal and illegal psychedelics. This guide introduces natural psychedelics that are legal in some countries or all over the world. There are several different chemical compounds which cause psychedelic effects. Most of these act by influencing the serotonin levels of the users; either by releasing serotonin (empathogens) or by acting as an agonist to serotonin receptors (serotonergics). The effects caused by different psychedelic substances are basically similar, though there are marked differences in the strength of the various effects. 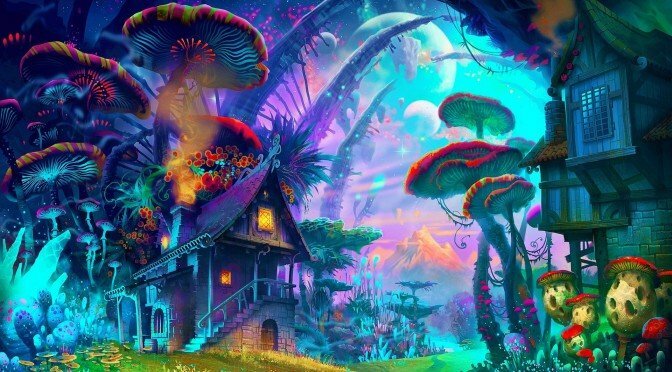 The main reason for the consumption of psychedelic substances is the visual hallucination. Visual effects can range from geometric patterns to whole scenarios. The experience is characterised by bright colours and swirling forms, sometimes accompanied by auditory effects and synesthesia. Other cognitive effects of psychedelic drugs include euphoria and an altered state of consciousness. Conceptual thinking is enhanced, and users feel disassociated from themselves, sometimes to the point of “ego death”. This enables them to view their own thoughts and mind as an outsider would, hence the “mind-revealing” . Physical effects caused by psychedelic substances include pupil dilation and increased heart rate. The latter is connected to the stimulating effects of these substances, which makes users feel more energetic. Consumption of certain psychedelic drugs also causes nausea and vomiting, though this purging is often considered a positive effect. There are several synthetic and natural psychedelic substances. The latter are generally considered safer, with fewer negative side-effects. They are also legally available in several countries. Natural psychedelics have been used for spiritual, ritualistic purposes for several centuries. Psychedelic drugs used in a mystical context are often referred to as entheogens. Entheogens have traditionally been used by shamans of indigenous tribes to commune with spirits and discover maladies of both body and soul. Even today, there are certain religions such as the Native American Church that use psychedelic substances for such purposes. These organisations are often exempt from bans on substances otherwise illegal in the country. Magic mushrooms, also known as psilocybin mushrooms are among the most well-known plants with psychedelic effects. Magic mushrooms and magic truffles – the “underground version” of the former – are rather potent ethnobotanicals. Psilocybin and psilocin are considered the main active ingredients of the mushrooms, though other compounds contribute to the effects as well. The legal status of magic mushrooms is rather complicated. They are illegal in several countries, though truffles and grow kits are legally available. Check the legal status of magic mushrooms broken down by type and country in my magic mushroom guide. Magic mushrooms and magic truffles are illegal in the US. Grow kits and spores are illegal as well. Click here to check out my guide about the dosage, legal status, effects, dangers and health benefits of magic mushrooms and magic truffles. Amanita muscaria or fly agaric is also a mushroom with psychedelic effects. 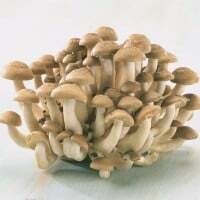 It is often used as a substitute for magic mushrooms. The main active ingredient in fly agaric is muscimol. The mushroom has a sacred significance in Siberia; where it was reportedly fed to reindeer after which their urine was drank (the method was used to negate the side-effects). Amanita muscaria is legal in most countries, except for the Netherlands, Romania and Louisiana. The state of Louisiana only bans Amanita muscaria, not Amanita pantherina, a variation with different colours but similar effects. Currently, I can not recommend any European vendors. 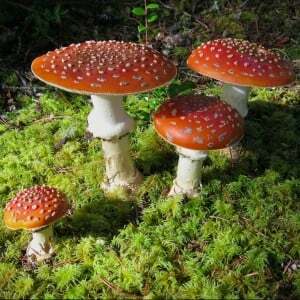 Click here to check out my guide about the dosage, legal status, effects, dangers and health benefits of Amanita muscaria. Ayahuasca is possibly the most widely used entheogen in shamanistic rituals. It is not a single plant, but a brew consisting of multiple substances. The traditional ingredients used to create Ayahuasca are Psychotria viridis and Banisteriopsis caapi. The former contains DMT, which is the main active ingredient in ayahuasca. However, DMT is quickly metabolised by monoamine oxidases in the human gut. To experience its effects, a MAO inhibitor such as Banisteriopsis caapi is necessary. The plants used to make ayahuasca are legal in most countries, though the extraction and possession of DMT is often prohibited. Click here to find out more about the dosage, legal status, effects, dangers and health benefits of ayahuasca. In the US, due to government raids, you can no longer buy Ayahuasca kits. But you can still buy the plants separately. I recommend the following places. Hawaiian baby woodrose (Argyreia nervosa) is a climbing vine native to India. The main active ingredient in the Hawaiian baby woodrose is believed to be LSA. LSA is a precursor to LSD, which makes its extraction and possession illegal in most countries. However, the plant itself is generally legal. Though structurally similar, the effects of LSA differ from those of LSD. The cognitive state induced by LSA is more clear-headed, and the effects are generally milder. 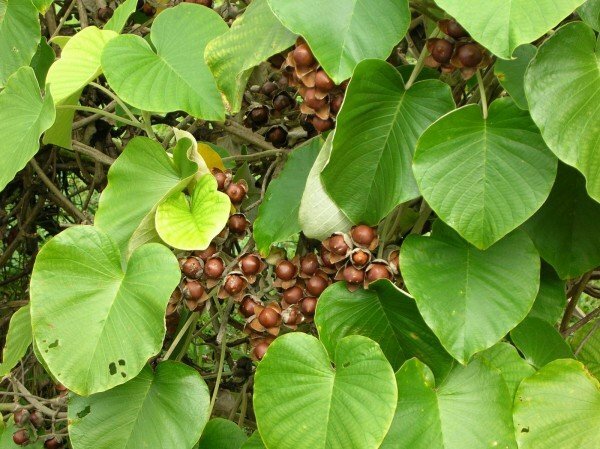 Click here to find out more about the dosage, legal status, effects, dangers and health benefits of the Hawaiian baby woodrose. LSA containing plants are no longer sold by US vendors. Mimosa hostilis, also called jurema is a tree native to Brazil. Leaves, bark and roots of Mimosa hostilis have traditionally been used for various medical purposes. The main active ingredient in Mimosa hostilis is, similarly to Psychotria viridis, DMT. DMT is not active orally by itself, only when taken in combination with a MAO inhibitor such as Banisteriopsis caapi. 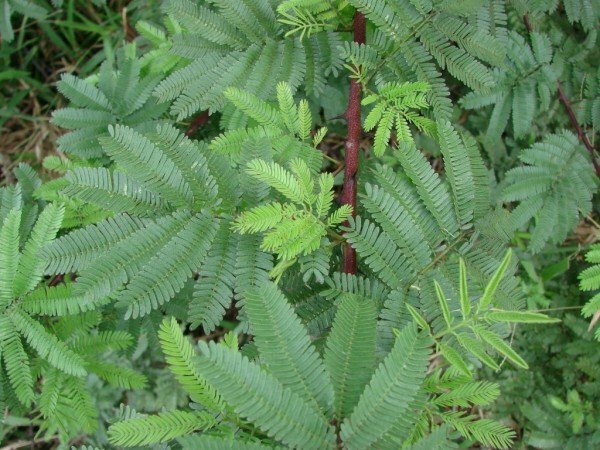 Though Mimosa hostilis is not traditionally used to create ayahuasca, it has practically the same effects. Concoctions made from Mimosa hostilis and a MAOI are called ayahuasca analogues, or “anahuasca”. Click here to find out more about the dosage, legal status, effects, dangers and health benefits of the Mimosa hostilis. Currently, I can not recommend any US vendors. I recommend the following Dutch vendor if you are planning to order Mimosa hostilis from a European vendor. 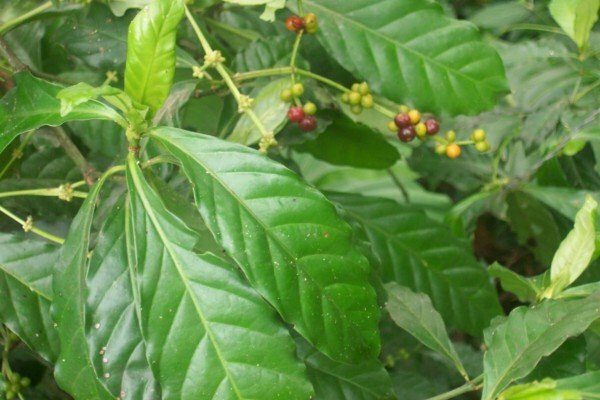 Chacruna (Psychotria viridis) is one of the traditional ingredients used for preparing ayahuasca. The main active ingredient in Psychotria viridis is DMT. DMT is not active orally by itself, only when taken in combination with a MAO inhibitor. 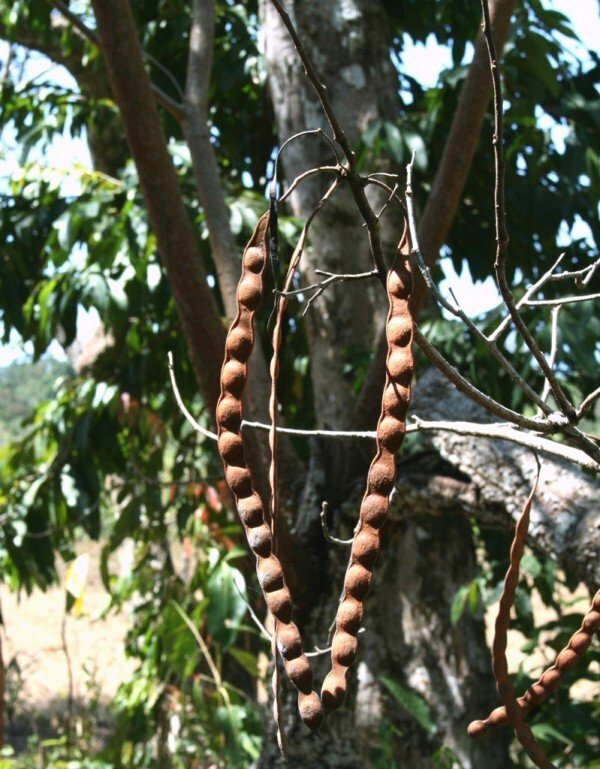 The MAOI traditionally used with Chacruna is Banisteriopsis caapi, also called ayahuasca vine. Psychotria viridis is not a controlled plant in most countries. However, extraction of its DMT content of the plant are generally illegal. Click here to find out more about the dosage, legal status, effects, dangers and health benefits of chacruna. 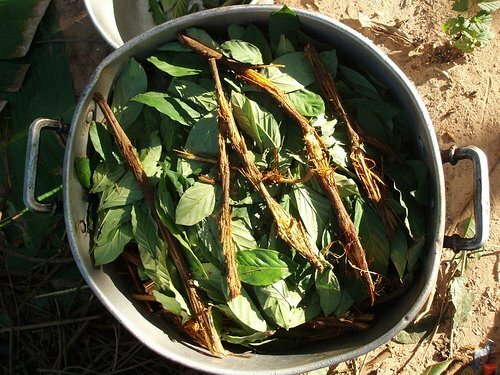 Chaliponga (Diplopterys cabrerana) is one of the traditional ingredients used for preparing ayahuasca. It is used as a substitute for chacruna. The main active ingredient in chaliponga is DMT. DMT is not active orally by itself, only when taken in combination with a MAO inhibitor (except for very large DMT doses). The MAOI traditionally used with chaliponga is Banisteriopsis caapi, also called ayahuasca vine. Diplopterys cabrerana is not a controlled plant in most countries. However, extraction of its DMT content is generally illegal. 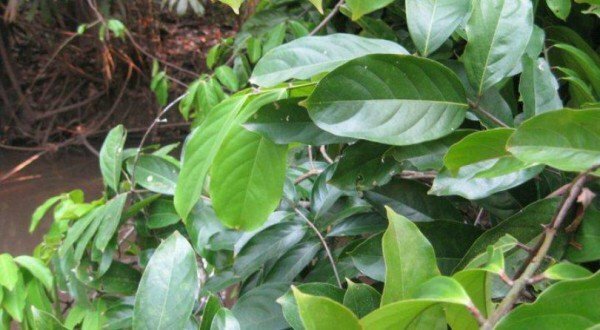 Click here to find out more about the dosage, legal status, effects, dangers and health benefits of chaliponga. I currently can not recommend any US shops, that would sell it. The San Pedro cactus (Echinopsis pachanoi) is one of several cacti with mescaline content. Others include peyote and the Bolivian torch. Mescaline is a controlled substance in most countries, illegal to possess or to sell. The plant itself is not illegal, however, and it is often kept for ornamental, decorational purposes. The cactus may be consumed by simply chewing, pulverising it, or in the form of a tea. The taste of San Pedro cactus is reported to be rather unpleasant no matter the method, but the effects are worth it. Click here to find out more about the dosage, legal status, effects, dangers and health benefits of San Pedro cactus. Currently I can not recommend any legal high shop that would sell San pedro in the USA. Peyote (Lophophora williamsii) is one of several cacti with mescaline content. Others include the San Pedro cactus and the Bolivian torch. Mescaline is a controlled substance in most countries. However, mescaline containing cacti are not illegal, though the legal status of its prepared forms is unclear. The peyote cactus has been used extensively in shamanistic rituals for thousands of years. It is still considered sacred by members of the Native American Church, who are exempt from the ban on consuming the mescaline. Click here to find out more about the dosage, legal status, effects, dangers and health benefits of peyote. Only legal for religious use by the Native American Church. Trichocereus bridgesii, also called achuma or Bolivian torch is one of several cacti with mescaline content. Others include the San Pedro cactus and peyote. Mescaline is a controlled substance in most countries. However, achuma is not illegal, though the legal status of cactus parts prepared for human consumption is unclear. 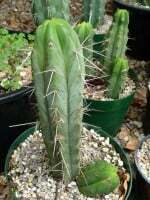 Trichocereus bridgesii is mainly used for ornamental purposes. 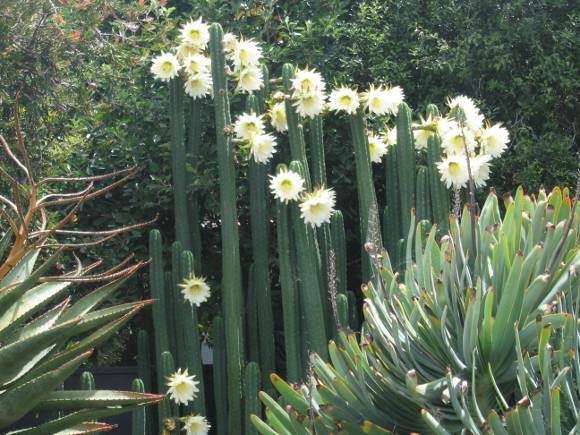 Like the San Pedro cactus, it may be consumed by itself or in the form of a tea. Click here to find out more about the dosage, legal status, effects, dangers and health benefits of achuma. No US vendors at the time of the writing. Yopo (Anadenanthera peregrina) is a tree native to South America. The beans of yopo are used to create the snuff of the same name. The beans contain DMT, which, while not active orally, has mild psychoactive effects when insufflated. Yopo also contains the alkaloid bufotenin. Consumption of the snuff is rather unpleasant, causing strong pain to the nostrils. Because of this, it is traditionally not consumed alone, but blown into another’s nose with a pipe. Anadenanthera peregrina is not a controlled plant in most countries. Bufotenin and DMT are, however, controlled substances, making them illegal to extract and possess. Click here to find out more about the dosage, legal status, effects, dangers and health benefits of yopo. No US legal high shop sells yopo. 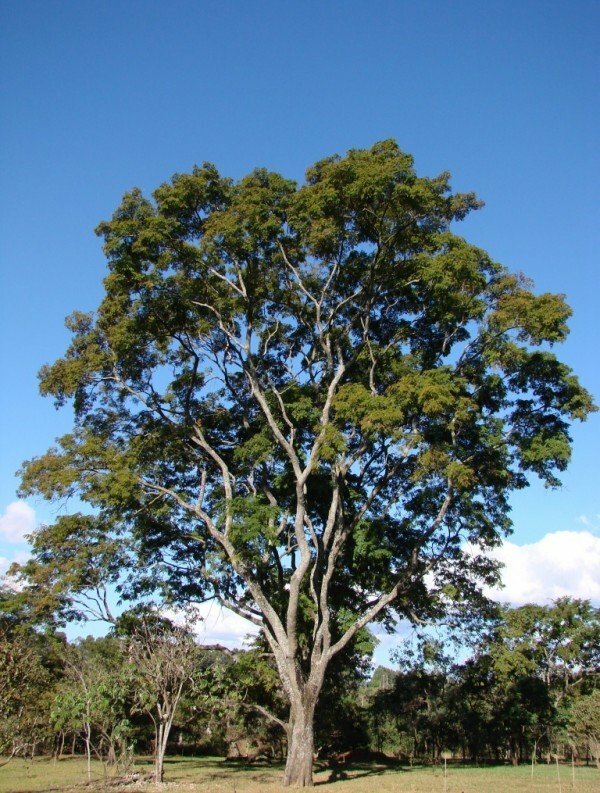 Vilca (Anadenanthera colubrina) is a tree native to South America. The beans of vilca are used to create the snuff of the same name. The beans contain DMT, which, while not active orally, has mild psychoactive effects when insufflated. Vilca also contains the alkaloid bufotenin. Anadenanthera colubrina is not a controlled plant in most countries. Bufotenin and DMT are, however, controlled substances, making them illegal to extract and possess. Click here to find out more about the dosage, legal status, effects, dangers and health benefits of vilca. At the time of the writing there are no US legal high vendors that would sell vilca. 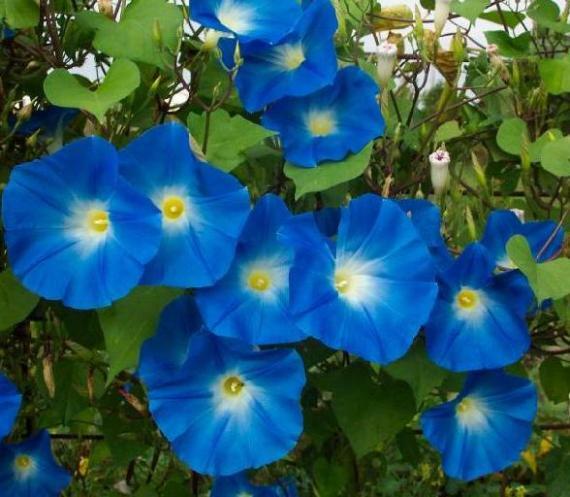 Morning glory is not the name of a single species, but over 1000 ones belonging to the Convolvulaceae family. There are two species generally used for recreational or entheogenic purposes, Turbina corymbosa and Ipomoea tricolor. The latter has several variants nicknamed Heavenly Blue, Pearly Gates and Flying Saucer. The main psychoactive ingredient in morning glory is believed to be LSA. Morning glories are legal and often cultivated for ornamental purposes. However, LSA is a controlled substance, illegal to extract or possess. Click here to find out more about the dosage, legal status, effects, dangers and health benefits of morning glory. Plants containing LSA are no longer sold by US vendors. 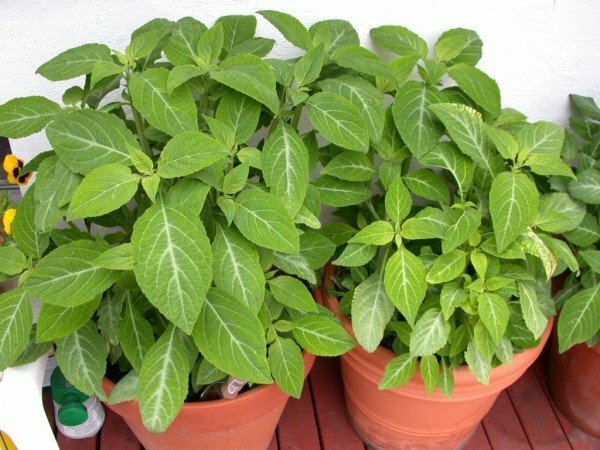 Salvia divinorum, also known as seer’s sage is one of the strongest natural psychedelics. Salvia is native to Mexico, where Mazatec priests had used it for several centuries to induce visions. The main active ingredient in Salvia divinorum is salvinorin. Salvia is illegal in several countries, including most US states. It is, however, legal in the Netherlands, Portugal, France and, at least for now, the UK. The leaves of Salvia divinorum contain the highest concentration of active ingredients. These may be smoked or prepared as a tea. There are also salvia extracts available for buying, some of which are very potent. Click here to find out more about the dosage, legal status, effects, dangers and health benefits of Salvia divinorum. Due to government raids most US vendors don’t sell salvia anymore. I can not recommend any right now. In fact many US vendors who still sell kratom and salvia are on the legal high shop blacklist. Please note that salvia extracts can be extremely potent; always exercise caution. Bufo alvarius, also known as Colorado river toad or Sonoran desert toad is, as the names suggest, a toad with psychoactive properties. To be precise, it is the poison produced by the toad’s glands that causes psychedelic effects. The poison contains bufotenin and 5-MeO-DMT, which may be smoked (ingestion of the substance is poisonous). Contrary to popular belief, the toad is not licked but “milked”. The toad was first made popular by a pamphlet in the 1980s. Today it is considered sacred by some, including the informal “Church of the Toad of Light”. Bufo alvarius can only be found live in Arizona, New Mexico, California and parts of Mexico. It is a threatened species in some of these areas, making it illegal to catch. Extraction of the DMT and bufotenin is also mostly illegal, though the toad is such an obscure legal high that prosecution is very rare. 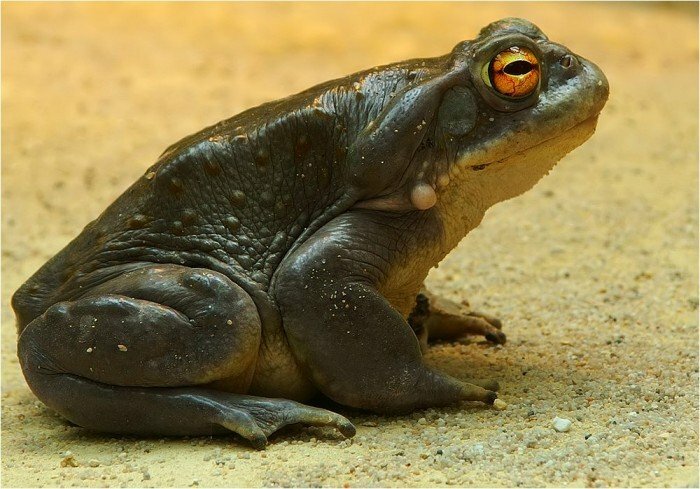 Click here to find out more about the dosage, legal status, effects, dangers and health benefits of Bufo alvarius. It is likely that you can only get your hands on a wild specimen legally if you live in Arizona. Captive-bred toads can be purchased through the internet from pet and reptile shops. However, I do not know any of those kinds of retailers personally, therefore I can recommend none. An overview of the effects, uses, tradition and legal status of various natural psychedelic substances. I don’t know anyone in Gauteng South Africa, never been there, never even heard of the place. 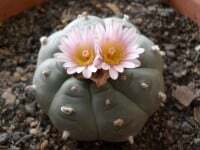 Hi, I want to buy Peyote, Ayahuasca and San Pedro Cactus, but when I click on the Link in the description of the Plants,the buy-page is empty. How can I order them? I’m assuming you are looking at the US psychedelics. It’s not empty, they are just out of stock currently. There is nothing I can do about that. I’ve read over this list and some wrong info is on here. LSA in morning glory seeds can be bought at most home improvement stores and Walmart garden center. And San Pedro cactus can be bought at store as well. I assume you are from the USA (, because you mentioned Walmart garden centers). This is the information on the webpage. This does not contradict what you are saying. Please click on the links, and look at the “legal status section” for more info. Greetings my brother, thank you for your well researched and concise presentation of these wonderful plants. I shall be looking into them soon and very soon. San Pedro brought me here. If one knows where to look while plugged in he is not hard to find. Southwestern San Pedro has been cloned to death so potency is hit or miss without a good source. This sacred cactus has remarkable healing properties. It is a pleasure to watch them grow and blossom. Thanks Simon for this cool and informative blog space.